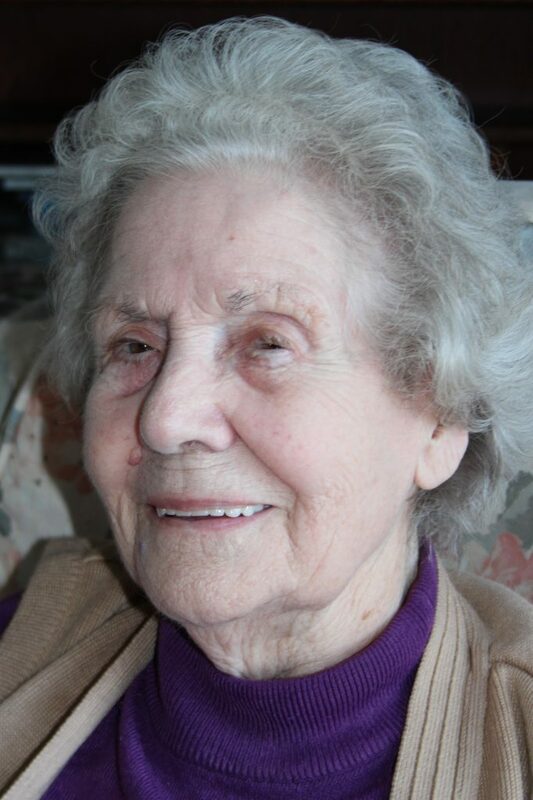 Connie started working at Houghton Hall during the war, when onions were grown in the flower borders. She worked in the gardens with her uncle, the head gardener, until leaving to get married. Later, when the Hall was opened to the public, she and her husband and daughter looked after the rooms and showed visitors around. When I first left school I didn’t work for a few months but then I heard of a job through my cousin at the Bircham Newton Airfield with the Salvation Army Girls: washing up, collecting cups, and serving the buns, things like that. It wasn’t full time, I think I just worked late afternoons and evenings. Towards the end of the time I did do a full day but then it got so they really wanted people who belonged to the Salvation Army; I was Church of England and no way was I going to be joining the Salvation Army, so I think two or three of us left. 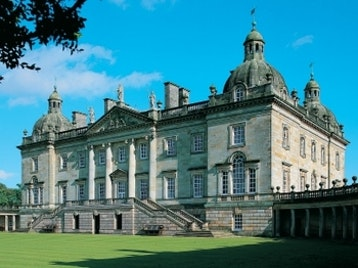 Luckily my uncle was Head Gardener at Houghton Hall and in 1942 the men had been called up so that’s when I went to Houghton, although I didn’t plan to. Lots of the women, even my sister were working on the land but that didn’t appeal to me. I began with another girl and the first job we had to do was hoeing some rows of onions; we got through it as quickly as we could, and of course my uncle Head Gardener came along and he made us do it again. That was the start of various jobs. I didn’t do any heavy digging or things like that as he still had men, but they were older men and of course they didn’t do as much as they did. They used to have flower borders, sometimes the width of the garden which was five acres but that all went and during the war we just had a small border for the cut flowers that went to the Hall or up to the London house. In 1939 the Scotch soldiers were billeted down in the square, not in the Hall. His Lordship wouldn’t have them in the Hall so they were in the square and the surrounding areas. I think there were Nissen Huts put up for them but having said that, I remember them marching along the road to Houghton past the school and we would hear them marching. Then they left; I suppose they were getting ready for Dunkirk. I can’t remember what regiment they were but there weren’t a lot of them. Then it was prisoners of war who came; the Germans first and then the Italians. The Nissen Huts were at the back wall of the garden and we had to go around there where the potting shed was but we didn’t sort of fraternise or anything like that. We grew vegetables mostly, things in the greenhouse like tomatoes and cucumbers but not on a big scale. They all went up to the London house or when they were in residence to the Hall which would be the Easter, sometimes Whitsun and then there would be four weeks in August, in the holiday. At this time of year I would have to go out and pick bunches of snowdrops and then it was primroses or cowslips. His Lordship was very fond of cowslips and then when the daffodils came there was a lot of wild ones growing in the woods and round about St James’s pond. There was a house there where the gamekeeper lived and there was a lot round there so I used to have to go round there, bunch them up and bring them back. Lots of them would then go up to the London house twice a week with vegetables and flowers and they all had to be ready on a Monday morning for the chauffer to drive them to Massingham Station; a Monday and I think a Thursday or Friday. Then I used to help Michael with the potting: potting out pots and washing pots down in the stoke hole. Then we grew strawberries and when it was strawberry season and we were sending them up to London, I had to go to pick the lime leaves and bring them back for my uncle to wrap each strawberry in a lime leaf and put it in a box of wood wool. Also certain jobs like tying in trees along the wall, like fig trees and almond trees. That was a very cold job, very cold on your fingers. I had to train them then I’d go back the next day and find that a lot that I’d tied in were cut down again because I hadn’t got them right but anyway we got over that. I wasn’t paid very much, think it was round about four pounds a fortnight. We were paid fortnightly and it wasn’t much more than that – men’s wages weren’t much more than that and I wouldn’t be paid as much as them. We weren’t allowed to have any fruit and vegetables ourselves, although I think we could of if we probably paid a small sum but I don’t think we did. My uncle and aunt lived in the gardener’s house so I was lucky I could always have my lunch with them and that was another job I had to do: take up vegetables for my aunt to eat, early each morning, for her to cook. She didn’t cook for the big house. The housekeeper was Daisy Dye. Fred was her husband who looked after the Hall. He sort of maintained the lawns and things around there. He did use to come into the gardens sometimes and help out with different things. Daisy was a big woman and she could easily get upset. Lord Cholmondeley, the fifth marquess, could be a bit of a tartar but he was alright with me, I was the only one there who got called by their Christian name, all the others had to have surnames. They used to come down at Easter and Whitsun, the lawn had grown a bit and sure enough I had to take the vegetables. My uncle would have been up first thing to look round to see the flowers and then he would bring back for the cook what vegetables she needed. Then they were got ready; there were two big baskets and I used to have to then take them up to the cook for them to use. Of course I was sure to bump into his Lordship and he would always ask what I had got in there and have you got so and so and have you got this? And I used to say ‘Well I don’t know, I don’t suppose we’ve got them’. One time I think it was one particular apple he liked. Anyway her Ladyship, she was also alright, we could all tell her a mile off because of the perfume and the voices. We always knew when they were around but you could smell her perfume yards away. We called them My Lord and Lady and of course you didn’t speak unless they spoke to you. You didn’t make conversation, you always had to wait for them to make a conversation. It went on, the years went by and eventually the soldiers left, the Italians left and the gardening things went on as they do the year through. The prisoners of war never worked in the garden. I don’t know whether they took them off sometimes to the farms to help out because there was another encampment down at Hempton just down the road from here. They were in Nissen huts and some of them used to come up to those who were at Houghton. Then I suppose it got towards the end of the war and they all left, and life went on. We just went on doing the same things. I remember one day I had to go up to the Hall when my uncle hadn’t had time, to do some flowers on the dining table. He left them somewhere and I had to go and put them on the dining table. I knocked on the door and her Ladyship was there and there was some gentleman there with her. She said ‘come in’ and I said what I’d come to do. Well it was a Wednesday and it was the Sandringham Flower Show Day and all of a sudden, she said ‘Connie, have you been to the Sandringham Flower Show?’ I said ‘no, my Lady’, she said ‘would you like to go? The servants are going this afternoon’, a van or whatever it was was taking them. I thought to myself what should I say? Well I said ‘yes, thank you my Lady’, so off I went. That meant I had to go back to the gardens, tell my uncle and he couldn’t say ‘well, no I don’t want you to go. I want you here’ then I had to bicycle back to Bircham which was three miles from Houghton, get changed, come back to get in the van or whatever it was to go with them to Sandringham which I did. I can’t remember much about it; certainly, it wasn’t as big as it is today. There were visitors to Houghton Hall and the royal family came. The Hall wasn’t open in those days. It wasn’t til the later days of Lady Sybil that the Hall was opened. They were well in with the royal family but we didn’t see much of them, they didn’t wander around the garden not when I was there anyway. The French president of the time flew in on a helicopter on one occasion, but it was a five-acre garden with great walls so you didn’t see the outside world unless you went outside of the garden. Then his Lordship died but before I get to that I must remember pre-war he started up a Margaret Morris group with all the villages. There was Harpley, Massingham, Bircham and the other ones; we all started up groups. We had these blue tunics and we used to practice in the village, then we used to go to Houghton and do displays from the Hall; this was the children or young people and grown ups cos he was a great believer even in those days in that he had all sorts keeping fit. The chapel was made into a gym and they had all sorts of equipment in there. Every day I think he used to be in there, but it didn’t help him because he died of a heart attack. That was that. He died, then it was Lord Hugh who became the eldest son. They had three children: Lady Aline, Lord Hugh and Lord John. Lady Aline was crippled, she was born like it; I don’t know what was it, polio? She went everywhere, she went to America to try to get a cure. But anyway she lived to a great age. Then Lord Hugh married a local girl from on the coast, Lavinia, and when they married they went to live at Cholmondeley Castle in Cheshire; a castle but a new castle. I don’t know who lived there before but I think once the older family of people must have been there. Anyway they went there to live and that was their home but he used to come back to Houghton to see to things. They had agents, but I suppose they had to be there to say what they wanted. So, then I suppose they were getting a bit low on money so they had to do something to get money to keep the hall and the repairs going and they decided to open but I just can’t remember the year. I had left before it was opened. I left to get married in ‘57 so I worked at Houghton Hall from 1942 to 1957 and came here to live and been here ever since. Both girls were born here. I knew Percy Baldwin who was the agent and her Ladyship wanted people to be in each room and to know and to tell visitors about it. Her Ladyship said that she wanted local people, she didn’t want outsiders coming in, she wanted people who she knew and so Percy rang up and said would you like to do it? Well my daughter Christine was interested in history and things like that and so she went there. I think they were open on Thursdays and Sundays, they were the opening days. Christine had left school at the end of her school years and then gradually I think my youngest daughter went but she was more for outside and car parking. Then my husband he got into it and he was on car parking for at least one season. I went into the Hall in one of the rooms and then well Christine went off to University and Cynthia wasn’t that keen; she left school and went into banking and so it left just myself and my husband. Then he came into the rooms and spoke to people when they asked about the history. Of course, I knew quite a bit about the history being there and going into the rooms. We had to do the flowers and he used to do these vast accumulator vases that they had years ago. When they were used he would tell me what flowers he needed from the garden and I would have to go and gather them and then take them up to the Hall where he’d be. Then I would help him with that and the smaller ones which were in these antique small vases which her Ladyship liked. She liked sort of posy type ones; in them you’d mass probably pinks or sweet williams and then I would have to take them up to the rooms and place them in the rooms where they were needed. I was able to see quite a lot of the house when I was working there but I never got to see much upstairs for some reason. I think I went up there once, I remember her Ladyship’s bathroom was in the floor and she had to step down into it. I remember that. I went into all the rooms downstairs: the kitchen area, all along the corridors and so on and so forth. Me and my husband were there as guides, both for fifteen years. We got to know other people who worked there very well. Yes, some nice friends. They did get in other people from outside. They had to really, I don’t think the villagers wanted to do it. They got probably more experienced people who knew more about the history and so on. They came from all places, but they were very nice people and we got to know a lot of them very well. There was a good relationship between the family at Houghton Hall and the village and I must say this about Lady Sybil if anyone was ill, or if they went into hospital she made sure they got the best treatment. I remember one boy at Bircham where I lived, I can’t remember what the accident was but I think he broke his leg. She got him to Kings Lynn hospital and then I think he went up to London for some treatment. She was very good like that; she’d get in touch with the physicians or whoever and made sure that they got the treatment. When I finished working and I’d got my children I took on another job as a dinner lady. when my youngest was five. I quite enjoyed that. Mind you a lot of days I’ve stood in the playground like I was a block of ice – we did get some bad winters then. It was at Fakenham Junior School and the schools weren’t closed like they are today. Then of course a lot of the teachers were local but they’re not today, they come from outside areas so I suppose it is difficult for them to travel. Two three, four head teachers I think I went through. Mr Bagshaw was the first one, he was quite good and then we had another one, he was a nice man, but having said that he wasn’t cut out to be a head teacher really. Then we had a very nice woman: Jane and she was good; I think she still lives at Walsingham, or she did. Yes, the teachers they had then were much stricter as the years went on. It was very different from my own school days. Having said that, my mother was a teacher, a pupil teacher previous to the 1914-18 war. She had to train and I think she went to Kings Lynn to college there for a time; then she started at a village school and then I think during the war she did help out at Great Bircham but once you were married in those days you weren’t allowed to teach. My father and mother were married in 1914. Luckily my father had land and he didn’t go until right at the end of the war, I think the last year and I think he went to Belgium but luckily, I don’t think he was in very much fighting. I went to Bircham School when I was little. It’s all a bit vague but I remember one very nice teacher. I remember when I first started school we lived in what was called Pit Cottages which was about a half a mile walk away and then we came to Town Farm and the school was just over the road. There were forty or fifty children in the school. Having said that they then had the children from Bircham Newton. Those children came to Bircham School; they used to be brought in every morning on the tender and this big cauldron of soup came with them. That then had to go into school and stand by the fire, because we only had fire for heating. That was just for those children, but I think there was so much of it that if other children wanted it they could have it too. We lived just over the road so I always went home for lunchtime. The children were aged from five to fourteen, all in one school. There were four classrooms and one teacher in each. I remember we used to have cooking and domestic science; that was all with Mrs Gidney who was the headmaster’s wife. We also used to do dancing on the lawn, or so-called dancing, it didn’t amount to much. I left when I was fourteen, it wasn’t a good education. I suppose we learnt enough anyway and we learnt the basics. We could read, and we could write, and we could count.